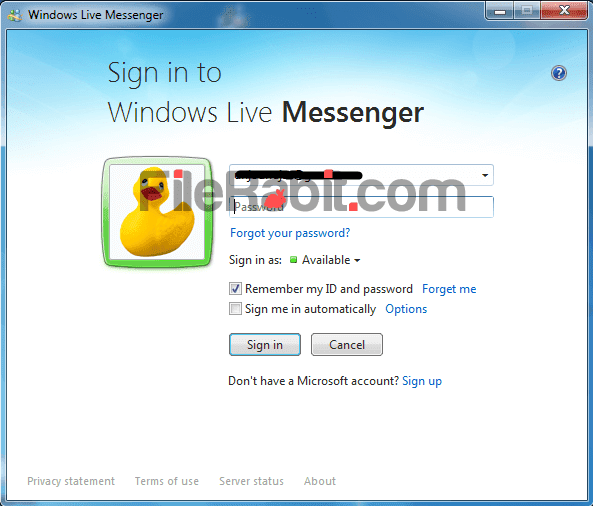 Windows Live Messenger is classic way to add people from Microsoft account, start chatting with friends, send personal images and enjoy hundreds of smiles. 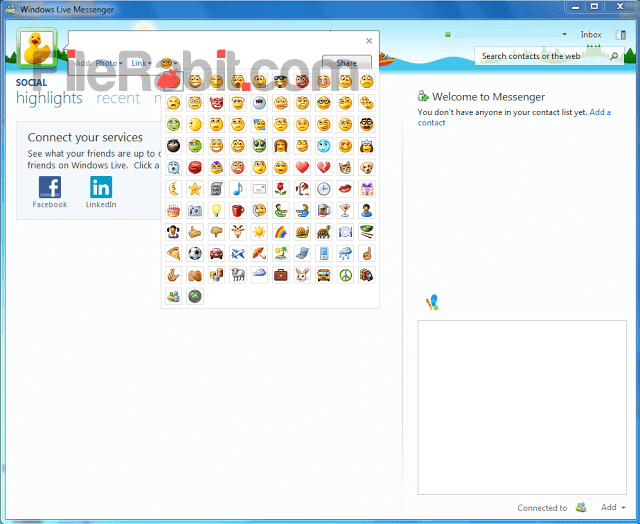 Chatting with simple, easy and fast way of MSN Live messenger with classmates, office colleagues or family members living outside area. Basically, it has UI interface with tiny and light resource taking capabilities based instant messaging developed by Microsoft. It will sync automatically with contacts of email service and list few with having Hotmail / MSN / Live accounts. 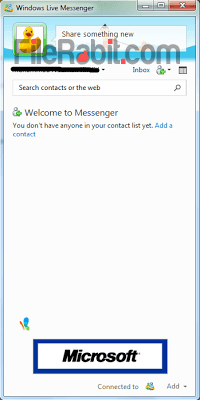 MSN messenger was the first IM service but it was upgraded to Windows Live Messenger in later times. It offers convenient way to express feelings with making a real time connection. It’s enough to take yourself into fun world where you can send images, built in smiles or show them live status. The contacts can be edited with setting up custom emotion or images. Moreover, manage address book, profile details, online status or socialize with LinkedIn and Facebook services. Create rich video messaging in full screen mode with friends or family members. Start voice calling, video chatting or instant messaging. The messenger adds integration of Hotmail / Live Microsoft account to view inbox with a single click. Calling to friends mobile number or landline phones is also possible with very reasonable rates. Group chatting is also simple with just adding members, share photos and start chatting in private rich media mode. You can also capture snaps or record little video clips from Webcam and share that media content with other members. Windows Live Messenger, MSN Spaces and Windows Live Mail are individual services of Microsoft but the global address book is same. So accessing contact details, edit info or see live status from the contact list.